Honouring those who have passed and those who have been bestowed with NZHRA Life Membership. 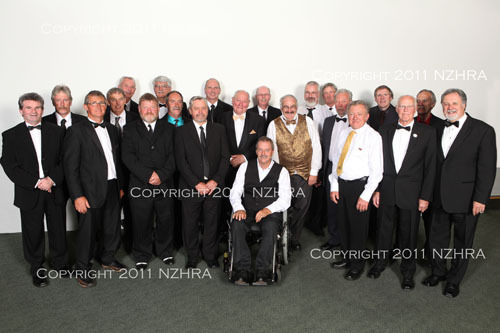 NZHRA Life Members at the Castrol Edge & Classic Cover Insurance NZHRA 50th Anniversary Dinner in November 2012 at Te Papa, Wellington. We have a few missing pieces in our NZHRA Life Membership Listing, if you know if any of the above information is incorrect, please contact us so that we can put this right. NZHRA Members - If you wish to add a past NZHRA AFFILIATED Member to the list below, please contact us and let us know the members name and what club they belonged to. Miles EDMUNDSON North Shore R & CC. Stephen FOSTER Mid West Street Rods Inc.